Former Western Regional Football Association chairman, Kojo Yankah has taken a swipe at the appointment of a 5-man Black Stars management committee by the GFA Normalization Committee. Last week, a five-member committee was named by the GFA Normalization Committee to manage the activities of the senior National team ahead of AFCON 2019. The list includes GNPC boss and former Asante Kotoko chairman, Dr Kofi Koduah Sarpong, with the Honourable Deputy Minister of Youth and Sports, Perry Okudzeto as the vice. Other members of the committee are former Ghanaian footballer, Ibrahim Sunday, Mr Francis Asenso-Boakye and Madam Abena Osei Asare. But according to the vociferous football administrator, the 5-members committee does not have the requisite expertise to handle the task given them. 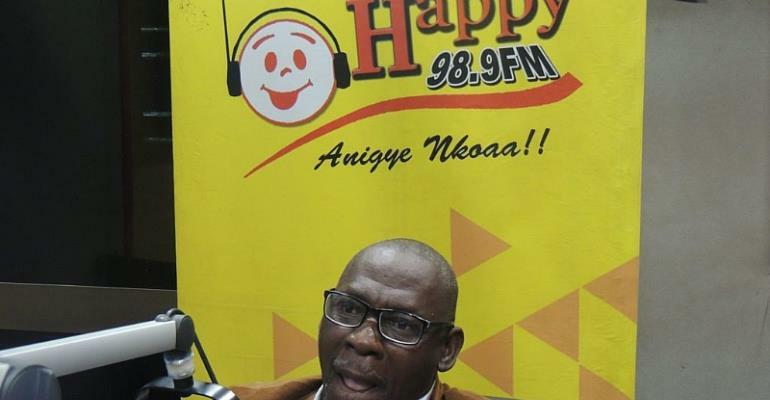 “The Normalization committee has destroyed our local football and they want to destroy Black Stars too with this kind of committee,” he told Happy FM. “You can’t be a management member when you don’t know the players. Players have different attitude and character so it’s not everyone who can manage them. How many of these members know the Black Stars players?”, he quizzed. “These people can’t do the job even with Dr KK Sarpong because he alone can’t do the job. These members can’t advice Kwesi Appiah”. "This is a serious interference from Government. If you have never run football, you can’t do the job. We should stop the concert in this country," he concluded.